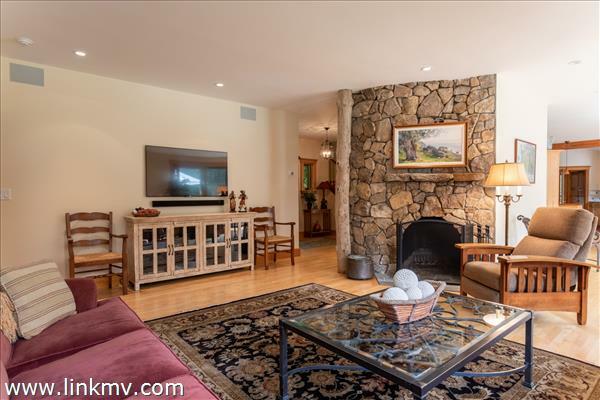 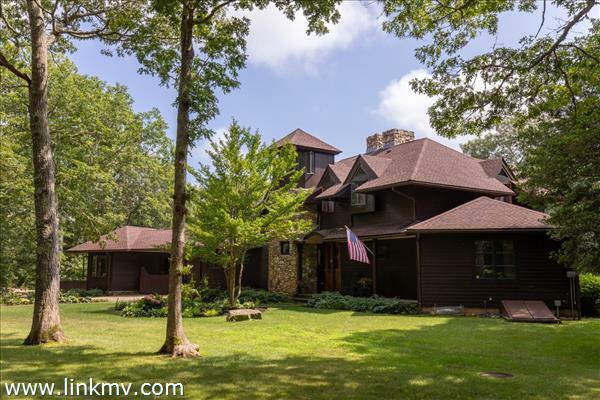 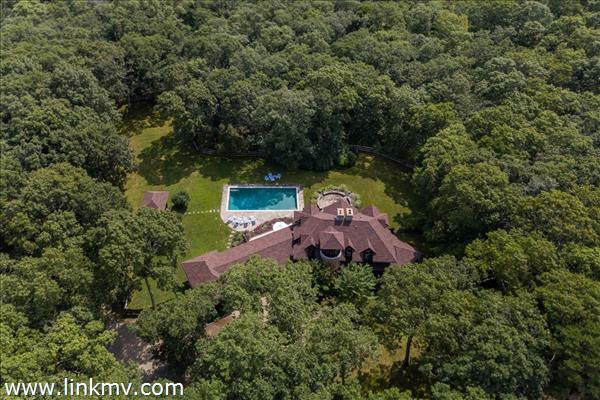 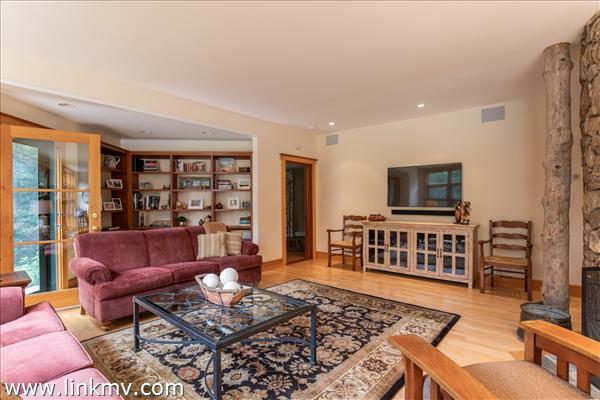 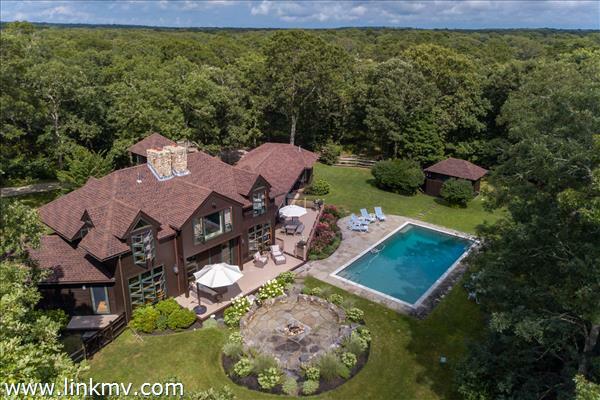 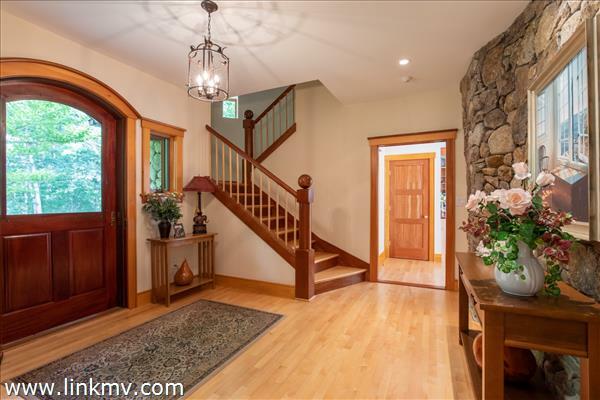 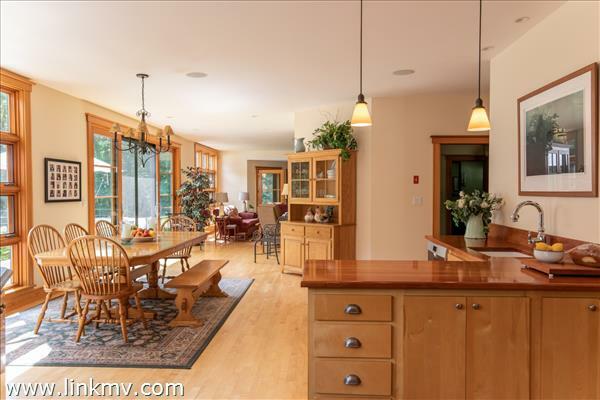 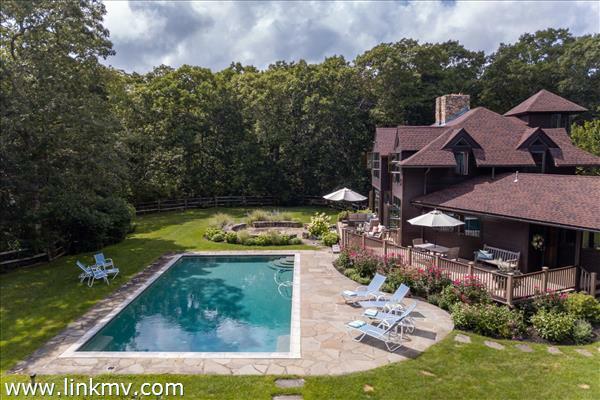 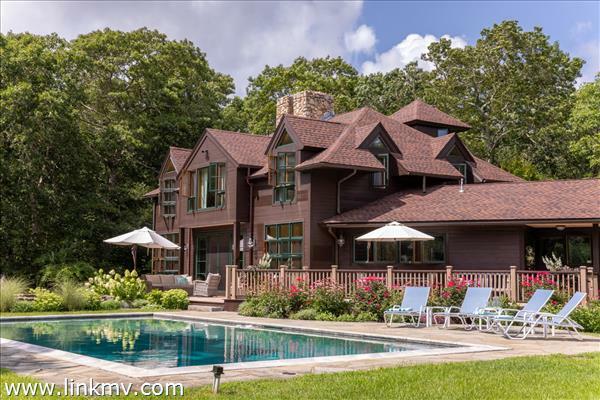 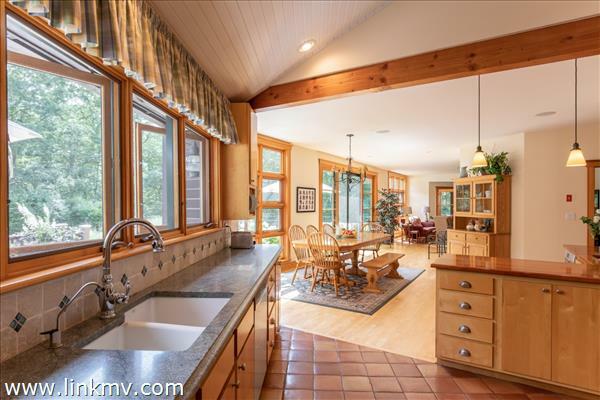 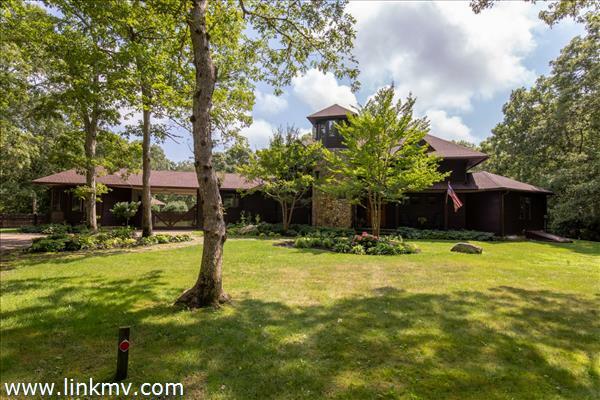 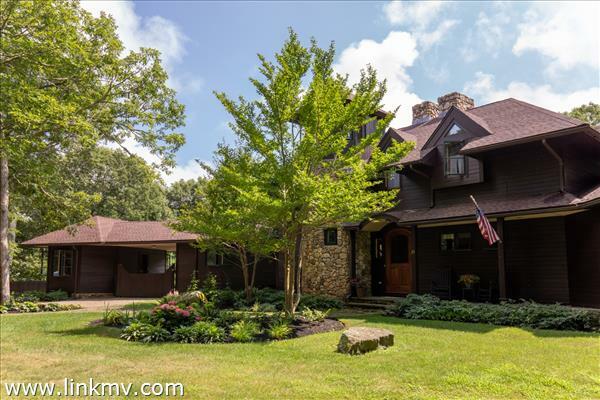 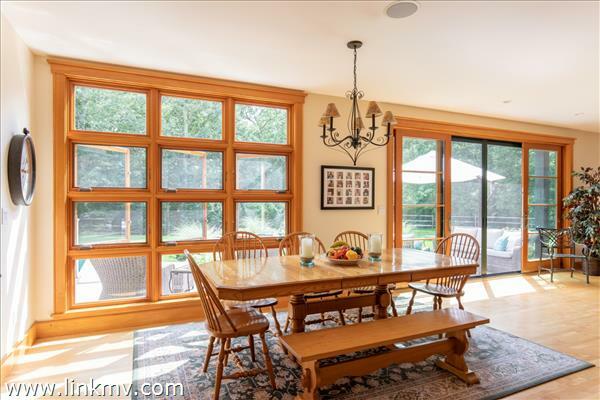 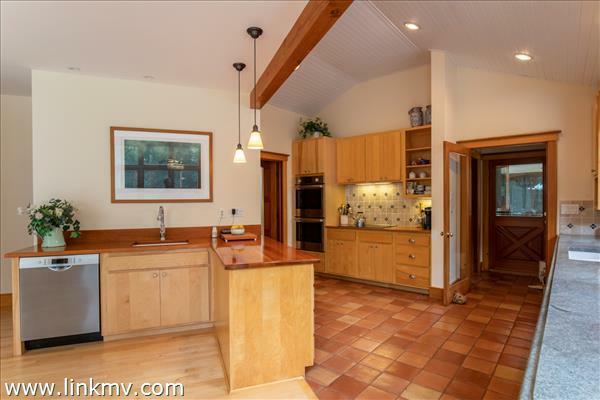 Finely crafted West Tisbury estate on 11.95 acres with pool and separate guest suite. 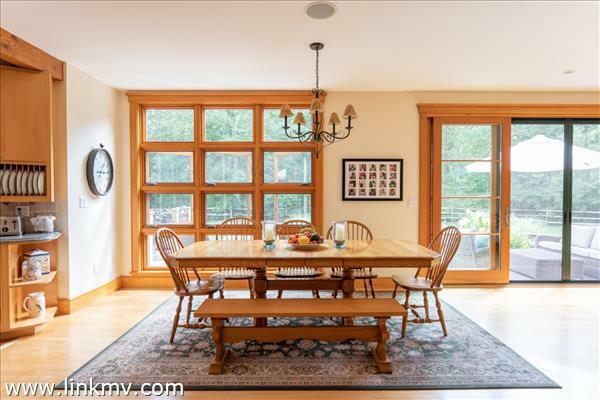 Recently renovated and designed by Hutker Architects, this spectacular home features 6 bedrooms and 5 baths. 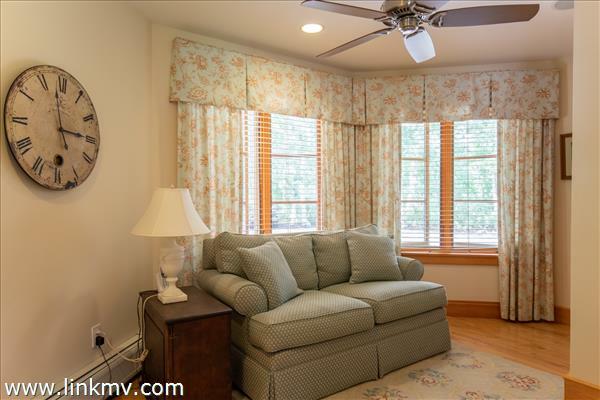 Beautifully built and maintained, the expansive first floor offers plenty of room for easy family living with features that include, a large living room with stone fireplace, dining room lined with multiple windows, gourmet kitchen and pantry, recently updated powder room, first floor master suite and an additional guest bedroom or den. 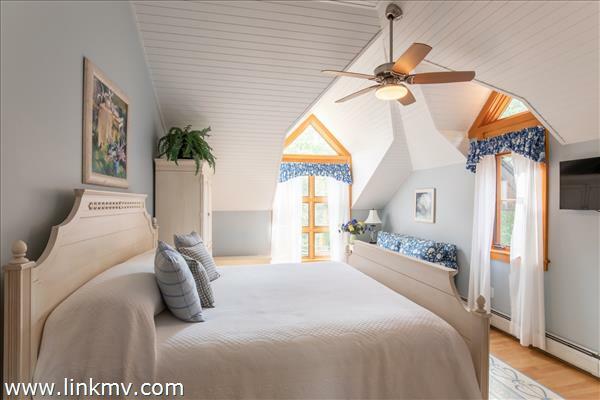 The second floor includes a sitting room, 2 guest bedrooms, renovated guest bath, and a large master bedroom suite with high ceilings and private bath. 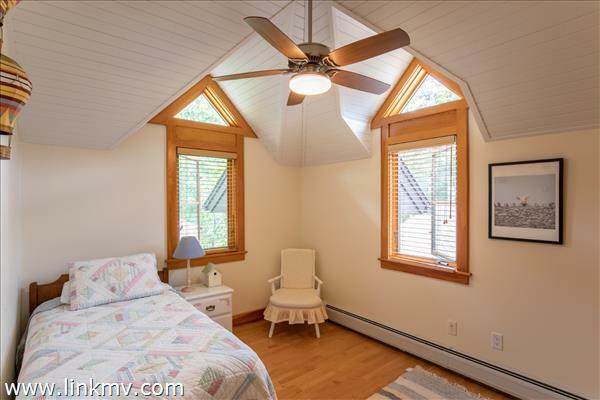 Venture up to the 3rd level "look-out" that is lined with window seats... a perfect spot for reading a book. 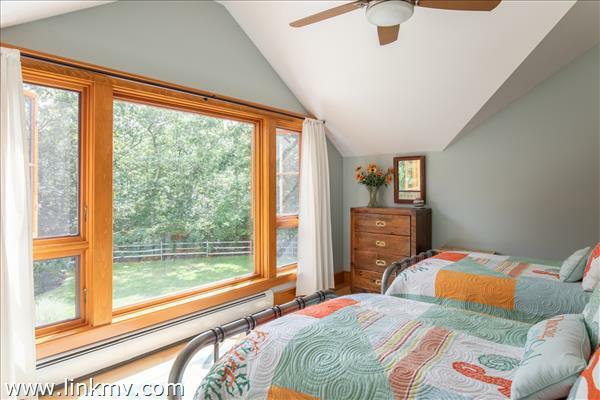 This welcoming West Tisbury home also has a detached guest suite complete with a living room, full bath and spacious bedroom. 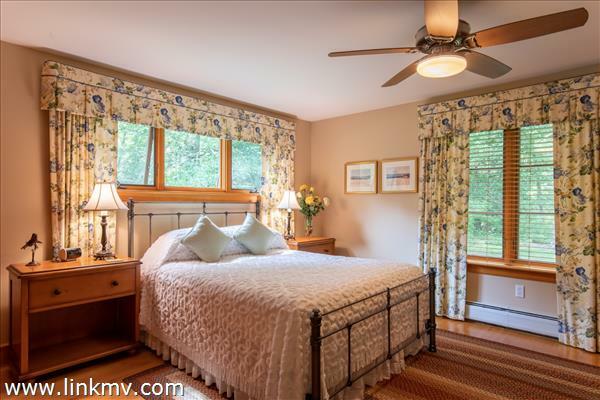 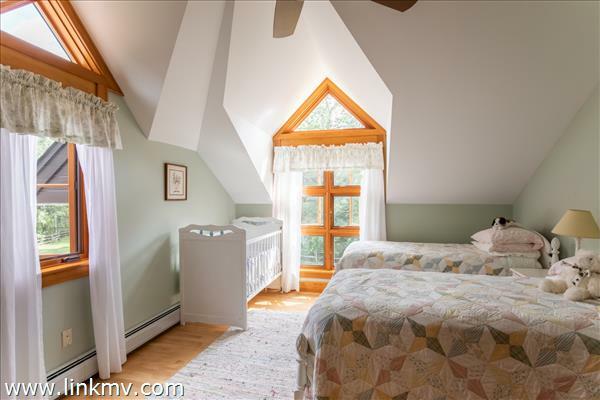 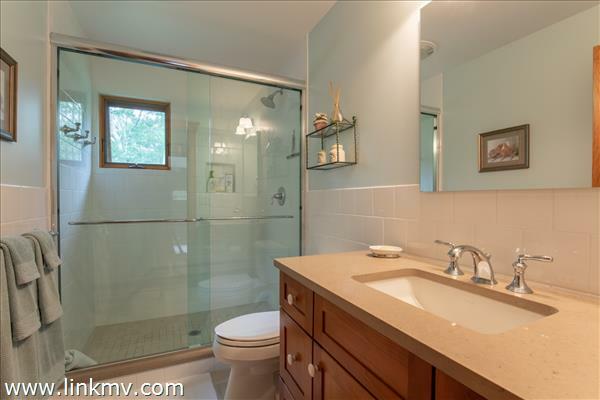 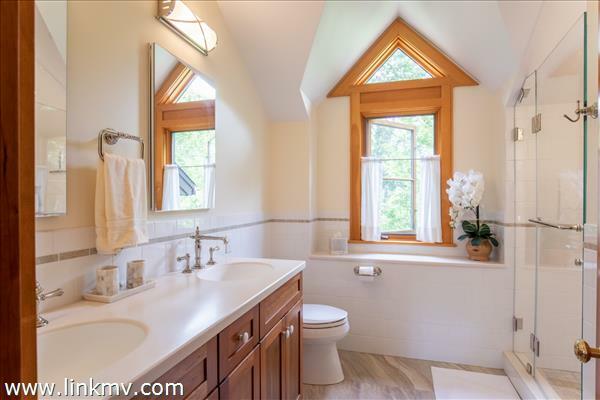 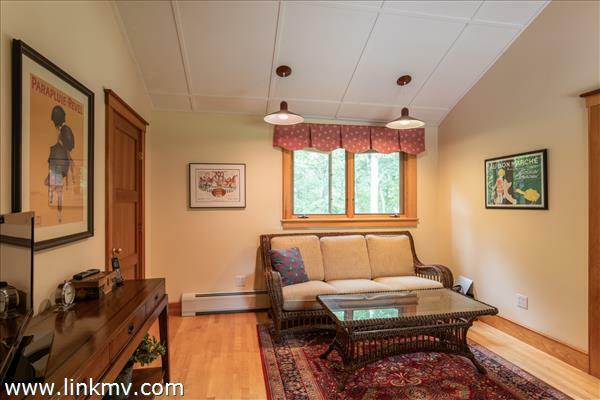 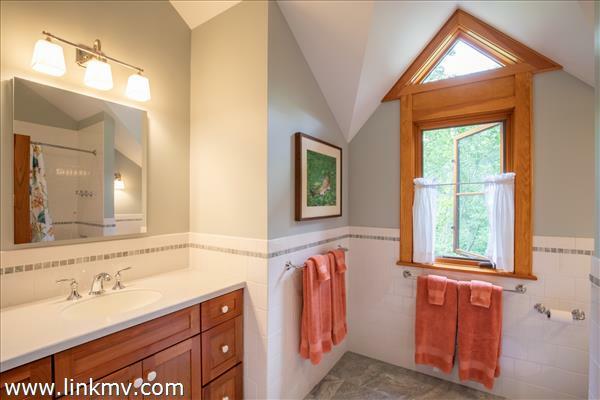 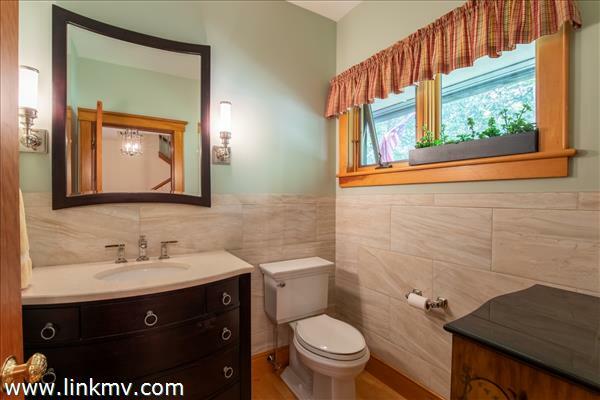 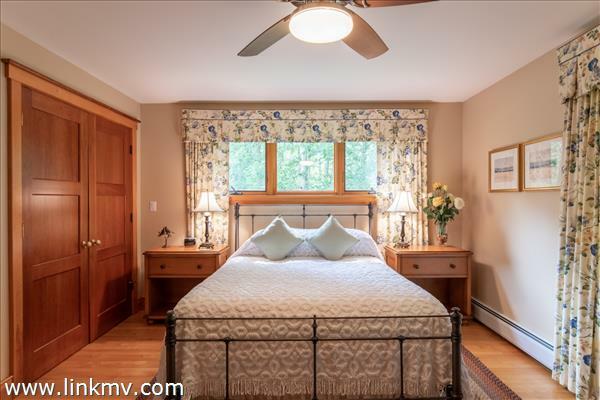 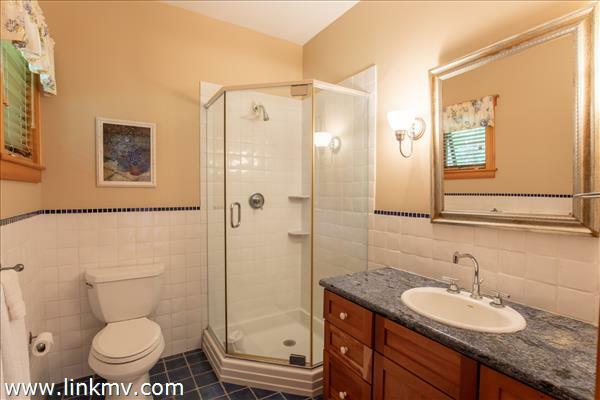 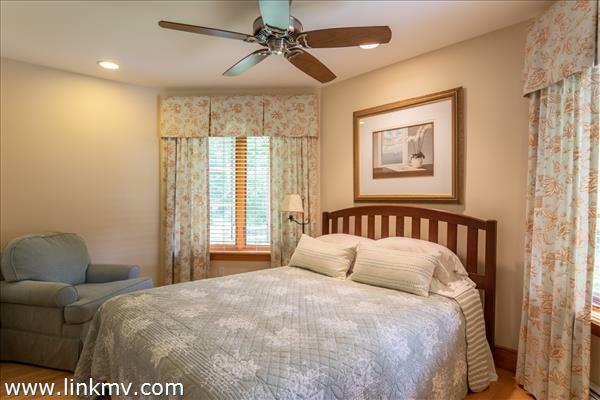 Recent updates include, new roof, updated radiant heating, new decking, renovated baths, refinished maple hardwood floors, and new interior and exterior paint. 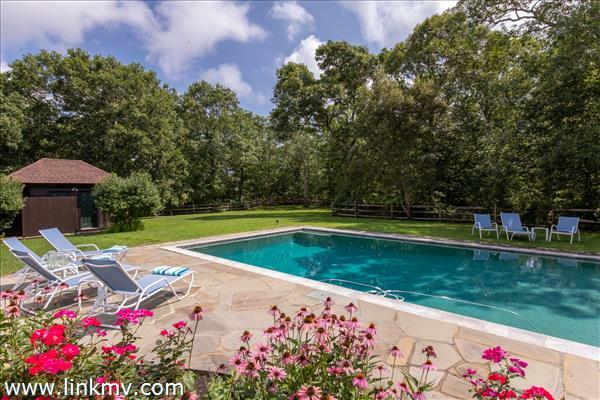 The outdoor spaces are just as beautiful as the interior, including a circular stone patio with fire-pit, vibrant flower gardens, expansive lawn, and spacious back deck overlooking a gunite pool. 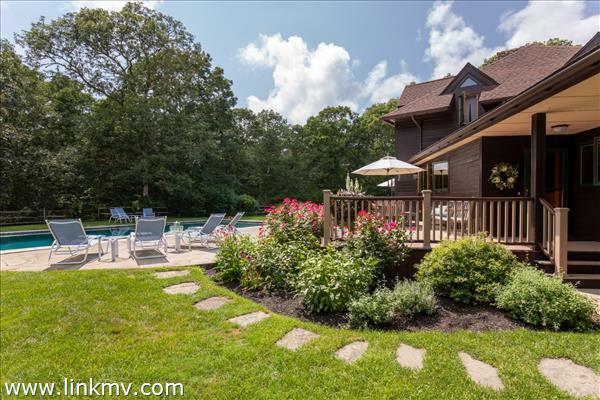 The outdoor space is complete with a pool house with changing room, outdoor shower and sauna. 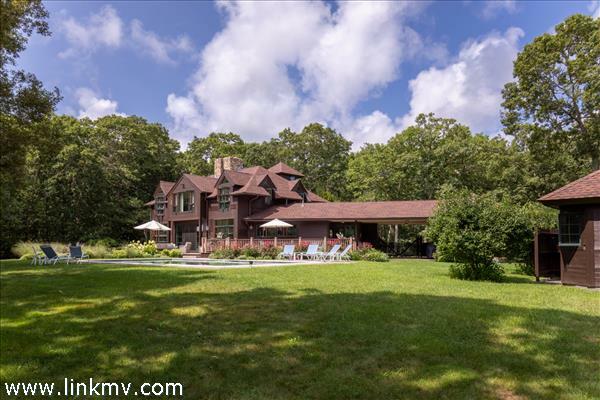 With easy access to Lambert's Cove Beach, this is a one-of-a-kind West Tisbury offering.